Imagine purchasing a brand new car: a beautiful, shiny, sweet ride. How upset would you be if you saw a scratch on your prized possession shortly after purchasing it? Now imagine that this was not a car but your beautiful, brand new baby with her first major scratch on that sweet face of hers. This is what I endured last week with my eight month old. She’s had tiny scratches before as a result of her fingernails growing so quickly and has even given her father and me some good scratches. But this was the first time she had a scratch about an inch and a half long, on her face no less, and I can’t figure out where it came from. I noticed a faint mark above her eyebrow that did not quite look like a fingernail scratch when she woke up from her nap, and it worsened as the day progressed. As it worsened, so did my guilt. I felt like a negligent mom and then thought about how daycare workers must feel when a scratch or mark seems to have “appeared from out of the blue” on a child, especially a child who is unable to explain what happened. Was I not keeping a close enough eye on Quinn? My husband tried to reassure me that I am doing a good job, but my anxiety got so bad that I was ashamed and nervous to visit my mother fearing that she would be upset and admonish me for not knowing what happened to Quinn. When my mom saw Quinn, my heart began to race; what was she going to say? “Oh, I see Quinn got a little scratch. It’ll heal before you know it. This is the first of many more little bumps and bruises. Just keep an eye out for her. She’s a real mover!” That’s all she said. She didn’t pick Quinn up and hold her tightly saying, “What did you let happen to my grand baby?” She didn’t question my abilities as a parent. Though I certainly will be even more attentive with Quinn now that she’s crawling and pulling up to a standing position every chance she gets, my mom’s words made me feel much better about not solving the mystery of Quinn’s scratch. Now, less than one week later, it is barely noticeable. Baby Got the “Drop” on Me! 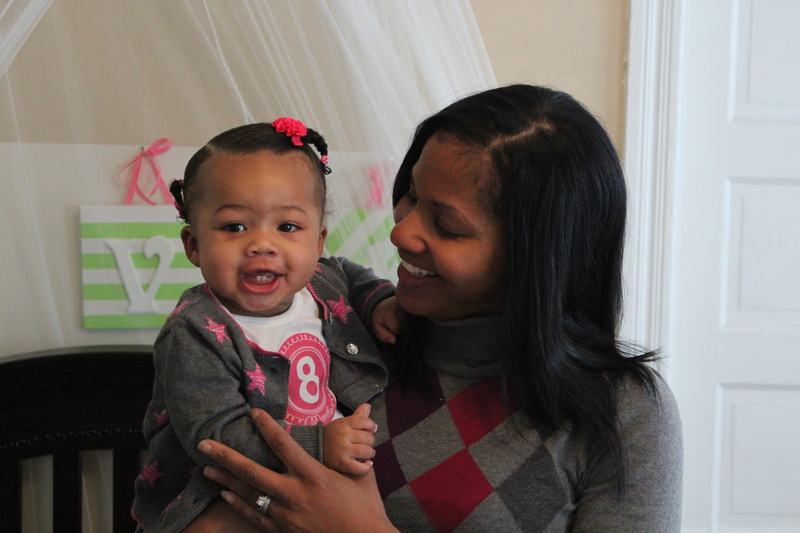 When a baby reaches a milestone, what parent doesn’t get excited? Unfortunately, we can’t witness them all, but there is a way to keep a watchful eye and listening ear even when we are not present (or just not mentally present). Instead of carefully listening to a garbled and static-filled baby monitor as parents did years ago, technology allows us to not miss a crystal clear moment. What would I do without my Dropcam? A few weeks ago, Quinn was restless but did not want to sleep during her usual bed time, so I sat by her crib playing Lumosity (a great web site with brain games) until she relaxed and went to sleep. Little did I know, my Dropcam captured Quinn pulling herself up to a standing position for the first time in her crib. 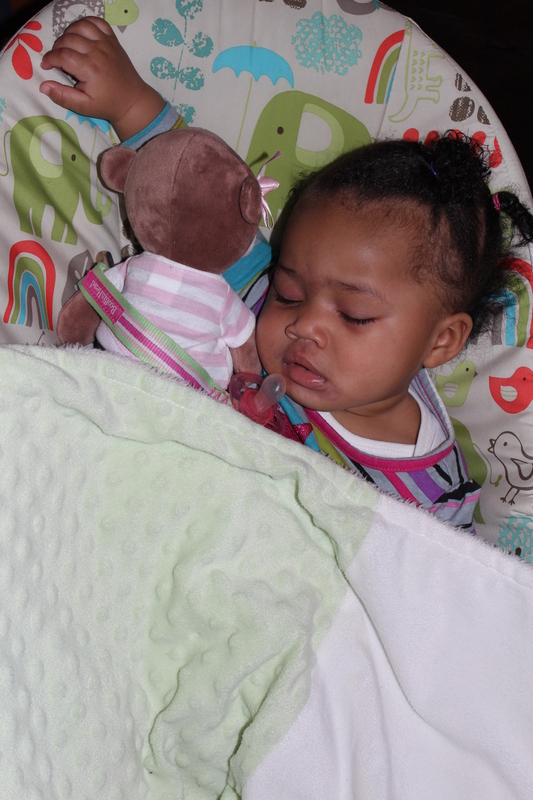 This let me know that it was time to put her crib to the lowest level. It also confirmed that I’m extremely happy with the camera we’re using as a baby monitor. The video and audio can be viewed from anywhere in the world by using a computer, iPad, iPod or Android. You do just need to have a Wifi connection. It has a two way microphone feature so that I can listen and talk as well from anywhere, not just inside the home. The night vision feature is awesome too, and the baby is clearly visible throughout the course of the night. For an annual fee, you can actually review and save clips from the past. Without this, I would not this video of Quinn reaching a milestone. Lastly, it can be used for more than just a baby monitor. Though I’m sure there will be something even more hi tech, it may come in handy when my baby becomes a teen. If you are going through the process of looking for a monitor, I suggest that you check this one out. It may be a bit pricier than the basic baby monitors, but it can be used long term. I hope my insight helps. Don’t You Wish Your Baby Had a Tutu Like Me! 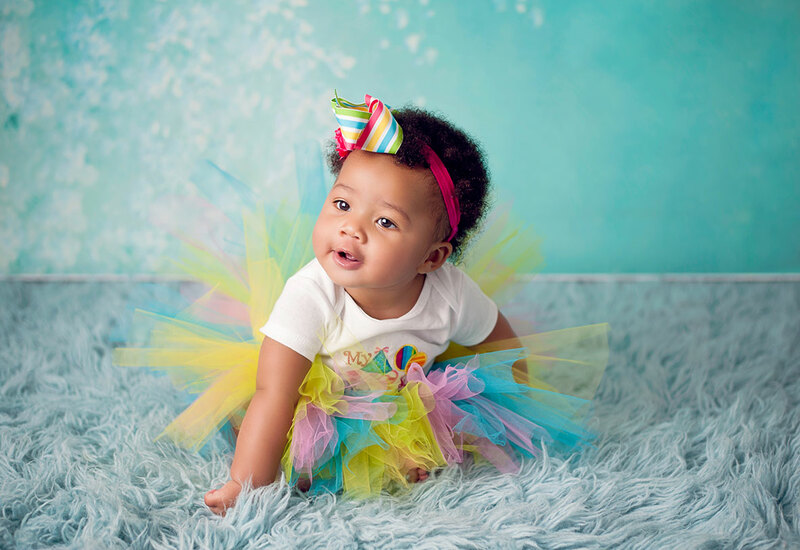 For the past few years, tutus have been the craze for little girls’ special moments. So of course my baby Quinn had to have one for her half-birthday photo shoot. Unfortunately, there were a few problems with getting that special tutu. Though it looks too cute, I can be frugal at times and was not willing to pay for a pricey tutu in addition to the adorable half-birthday onesie and bow with a party hat (KenaBows did an excellent job by the way!) for a six month old to wear for about a half hour, and I just could not find the right color scheme either. Actually, this was the perfect opportunity for me to apply some of my crafting skills and save a little money, which I love doing. I’m no fashion designer, but I’m really good at following basic instructions. There are so many tutorials out there, but I located this wonderful You Tube video by Sandy Bell for how to make a tutu provided below. Her video is clearly presented, and I was able to use it as a guide and then make a couple of modifications with the supplies and method for creating the tutu since Quinn is just a baby, and her child is much older. Purchased Tulle (Pink, Green, Yellow and Blue) at Michael’s because it was on sale, and I was able to use a 40 percent off of my entire purchase coupon: the only way to shop! Each roll was 25 yards for a little over a dollar a piece for a total near $5 including tax. I still have plenty of tulle left over for future projects too! If you think a tutu would be too cute for your little girl but are just a bit apprehensive about spending $30 or more or you would like to make something special from the heart, give it a try. This mommy did it, and baby, Quinn looks great! “Are you putting pacifiers on your registry?” the woman asked her friend. She emphatically replied, “No baby of mine is using a pacifier. I don’t know why moms let their kids use them. I saw a four year old still sucking on one the other day!” As my baby girl sucked away on her pacifier dozing off into dreamland, I shamefully tucked it under her bib as the women approached us to dote over six month old Quinn. Prior to Quinn being born, I too vowed that she would not be a “paci baby” for fear of her craving it for comfort as a toddler or even a preschooler. Needless to say, Quinn had other plans. After giving it some serious thought, I decided that for Quinn’s “eight month” birthday which was just two days ago, I would drastically cut down her pacifier usage. So I removed her pacifier clip when she was consumed with playing, and she did just fine unless it was nap time, bed time, she was getting her diaper changed or was just a little restless and longing for the comfort of her best friend. Of course, I lost the battle, caved in and gave it to her each time. She clutched the pacifier strap with delight, plopped her binkie in her mouth and gave me the “please-don’t-take-it-away-from-me-I-need-it-look.” I know eventually I will need to stand my ground even if she cries for it, but how will I know when the time is right? Freud stresses the importance of the oral stage which lasts until around 21 months, which means Quinn has plenty of time with her binkie. I want to do what’s best for my baby girl, but is nearly two years old too old? I know each child is different, but I’d love to know what other parents think through the poll provided below and/or by providing your insight by posting a comment. Thanks in advance. This Day is a Happy Birth Baby! Hooray, it’s my baby’s “eight month” birthday. It’s also the birth of my second blog! (Welcome, and please stop by again) For the past four years, I’ve been on a journey filled with epiphanies, musings and even a little creative writing here and there on my blog Journey of Anonomz. But I noticed ever since my daughter was born many of my posts have been about her or what I’ve been learning as a first-time mother. 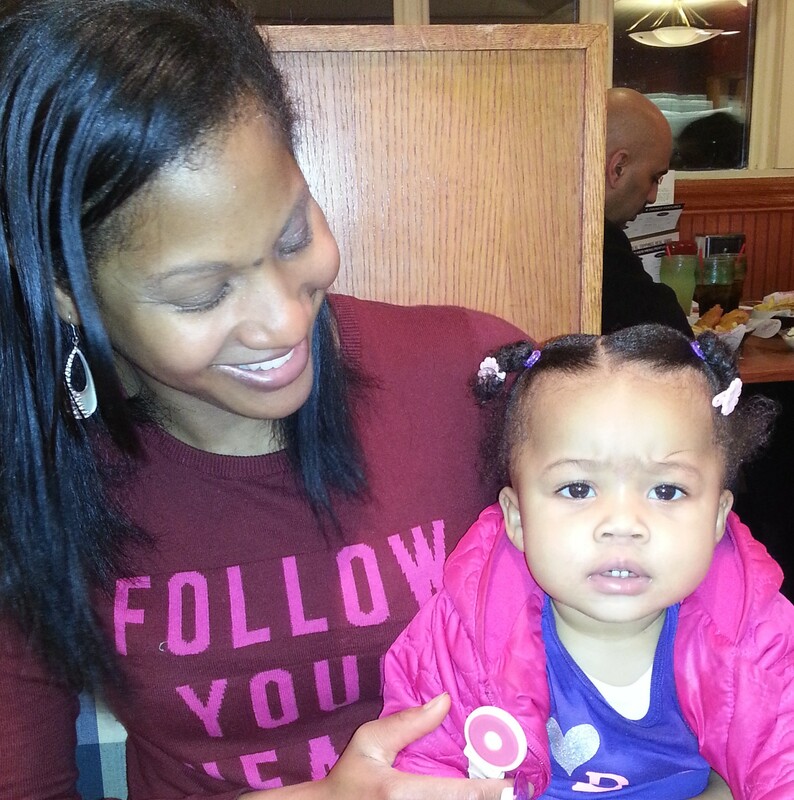 So I thought why not start a second blog dedicated to getting this motherhood thing just right. At my blog, you will not only find my daily baby and mommy musings, but I will occasionally provide posts on DIY projects I am working on. I’ll have candid discussions on things that have been working or not working for me as a new mommy. 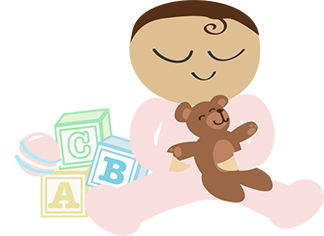 There will also be reviews on various baby items and products that I’ve found to be quite beneficial or not so much. My hope is to not only help new parents by sharing my experience but to receive insight from well-seasoned parents as I leave the crawling stage and continue to embark on this journey of motherhood taking baby steps. I hope you’ll join me and that we can have some fun along the way.